National Institutes of Health-funded Career Development Awards, or K awards, can be a game changer for junior faculty members who are trying to initiate research careers. The prestigious awards provide invaluable research infrastructure and mentoring support for young investigators as they strive to become independent researchers. 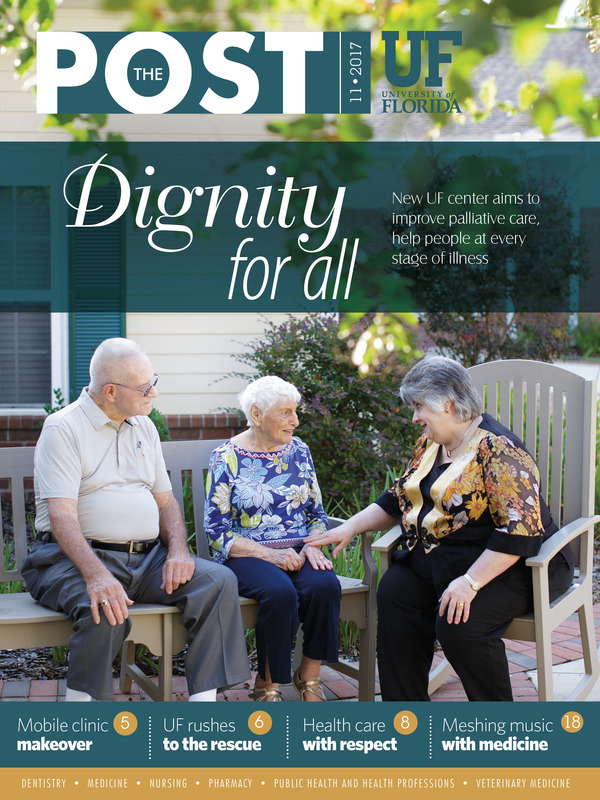 At UF Health, we have a rarity: a married couple in which both spouses are K award recipients. Ting-Yuan (David) Cheng, Ph.D., an assistant professor in the department of epidemiology in the UF College of Public Health and Health Professions and the UF College of Medicine, received a K award from the National Cancer Institute last year to study the molecular pathology of breast cancer among African-American women. 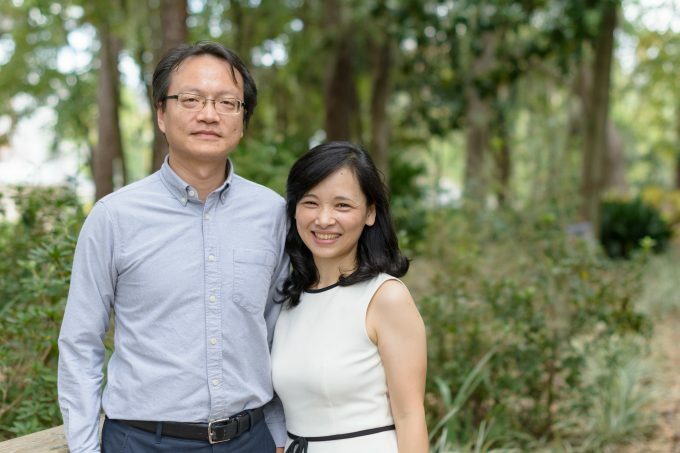 His wife, Yu-Jung (Jenny) Wei, Ph.D., is an assistant professor in the department of pharmaceutical outcomes and policy in the UF College of Pharmacy. She received notice of her K award from the National Institute on Aging this summer. She plans to study the pharmacoepidemiology of drug management of pain in older adults, specifically those diagnosed with Alzheimer’s disease and related dementia. K awards are highly competitive. The National Institutes of Health estimates the average success rate of K award applications to NIH institutes is about 30 percent, but it can be as low as 10 percent in some institutes. For junior researchers, the first three to four years after completing academic training are stressful as they work to establish independent research programs while juggling teaching and service responsibilities, said Thomas Pearson, M.D., Ph.D., UF Health’s executive vice president for research and education and a professor of epidemiology and medicine in the UF College of Public Health and Health Professions. The awards fund 75 percent of the faculty member’s salary for five years, and protect this time for research, Pearson said. The awards provide time for pilot projects, building research infrastructure and acquisition of skills. Awardees create a career development plan and they have a team of mentors offering research and career advice. Because they offer an excellent start to a research career, UF Health has created a K College, which is funded through UF’s NIH Clinical and Translation Science Award Program, to support junior faculty members’ applications. “K awards allow adequate protected time so you can actually do the right things for your science, for your teaching and for your family,” said Pearson, who also serves as Cheng’s K award primary mentor. Cheng and Wei have supported each other’s academic careers since they met 12 years ago at a conference in Hong Kong. Cheng’s advice, based on his K award experience, was extremely helpful to Wei as she prepared her own K award application. As fellow epidemiologists, they read each other’s manuscripts and grant applications and offer career advice. While their research methods share similarities, the focus is different enough — with Cheng working at the molecular level and Wei at the health outcomes level — that they sometimes approach problems from different schools of thought leading to a healthy amount of disagreement. Cheng’s K award has given him the opportunity to learn new research techniques in the laboratory of Martha Campbell-Thompson, D.V.M., Ph.D., a professor of experimental pathology and director of the molecular pathology core in the UF College of Medicine. The newly acquired skills will enable him to use molecular epidemiology approaches to examine breast cancer tumor markers to learn how factors such as obesity affect women’s risk of developing breast cancer. “Receiving this K award has given me more time to do my research, and if you have more time to do your research you have more time for your family, too,” Cheng said. For Cheng and Wei, family centers around their daughter, a 3-year-old bundle of energy named Augustine. Wei’s work has centered on the assessment of quality, effectiveness and safety of pharmacotherapy in elderly patients. Her K award goals focus on an improved understanding of how geriatric care and pain management are delivered in nursing homes — places that provide care for many people with cognitive impairment. This knowledge will inform future studies of pain control approaches that consider and prevent mental health problems in older adults with Alzheimer’s disease and dementia.